Published: Dec 2, 2016 to ? 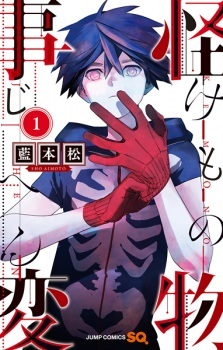 When a series of animal bodies that rot away after a single night begin appearing in a remote mountain village, Inugami, a detective from Tokyo who specializes in the occult, is called to investigate. While working the case, he befriends a strange boy who works in the field every day instead of going to school. Shunned by his peers and nicknamed "Dorota-bou" after a yokai that lives in the mud, he helps Inugami uncover the truth behind the killings—but supernatural forces are at work, and while Dorota-bou is just a nickname, it might not be the only thing about the boy that isn't human.